Interactors are just perfect to give you maximum control. No limitations, no risk, no payment option required! Enhance your control setup with more than 50 control signals provided by the KinesicMouse. Awesome video created by EnableIreland. This video was created by JoyfulRogue, make sure to checkout his stream on twitch.tv. Awesome video created by fordgt. 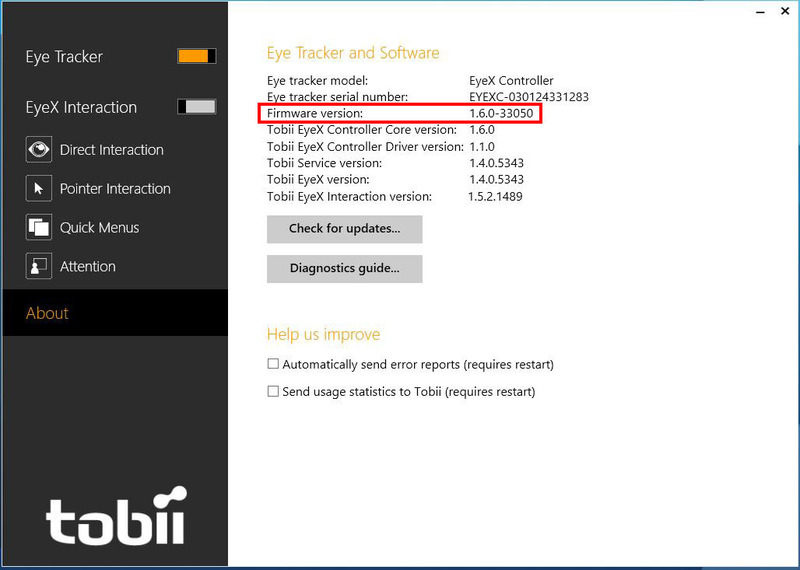 Tobii EyeX(*) must be on Firmware version 1.6.0-33050 or higher! IRIS is fully compatible with the newest tobii 4C(*) eye tracker. New reduced price for IRIS, 39.00 EUR only! Important: does not include the Tobii EyeX(*) sensor hardware! 2017 © by Markus Pröll, all rights reserved.